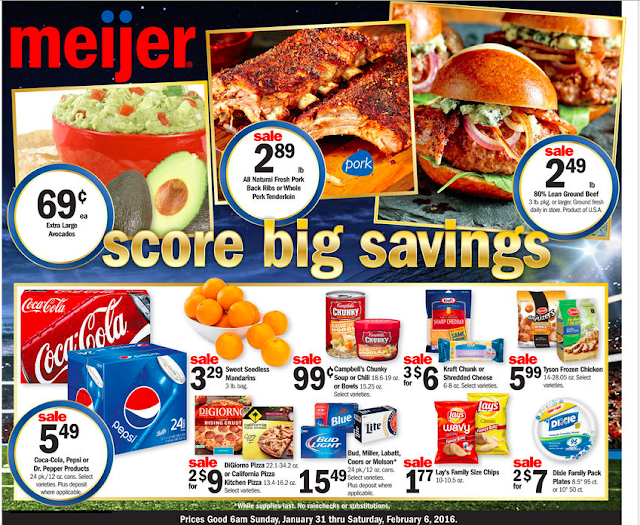 Meijer Weekly Ad Preview 1/31/16! WHAT ARE YOU EXCITED FOR?? CHECK OUT YOUR LOCAL PREVIEW HERE! Once you click on the link, make sure to change the location to your local store! Many people have commented that some of the prices are a little different! Make sure you tag a friend or share this post so you and your friends and family can start making next week's grocery list!